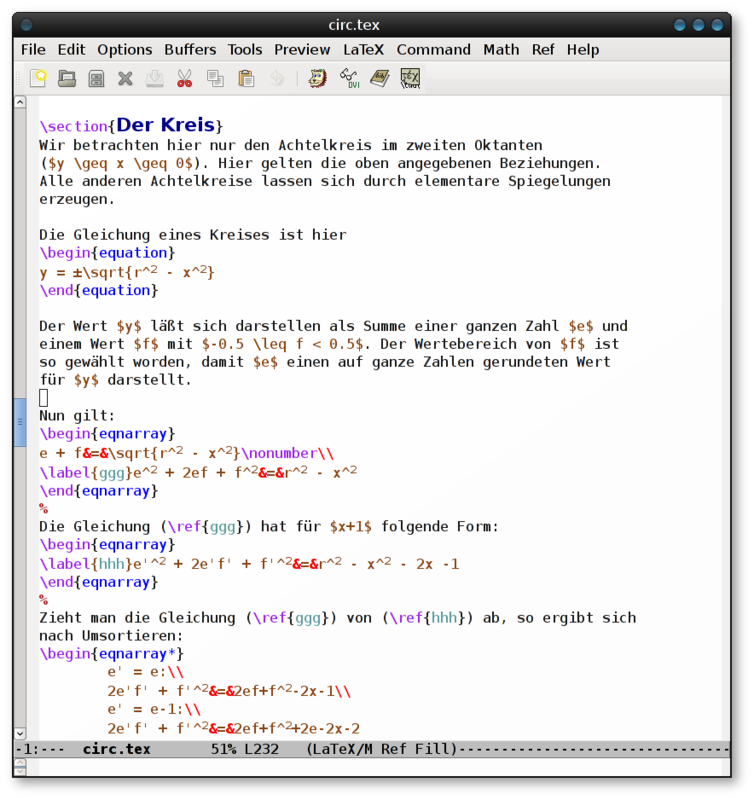 Showing the mode menu and syntax highlighting in LaTeX mode. 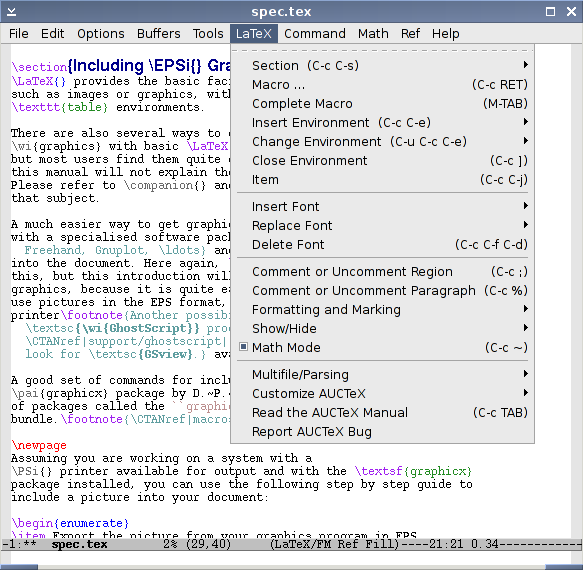 Showing the same file as above but content like footnotes or items is folded. 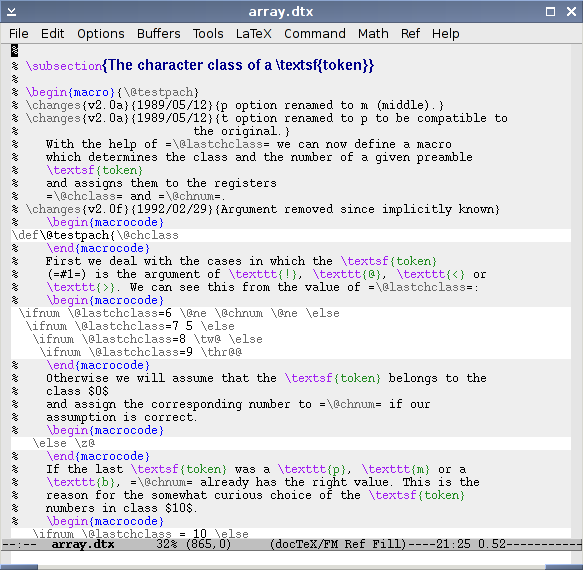 Showing a dtx file and different syntax highlighting of documentation and program parts. 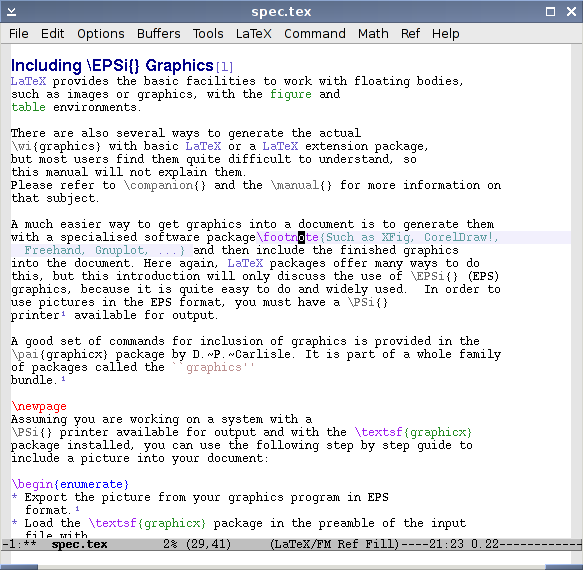 Showing a sectioning command and math rendered as images inside an Emacs buffer. 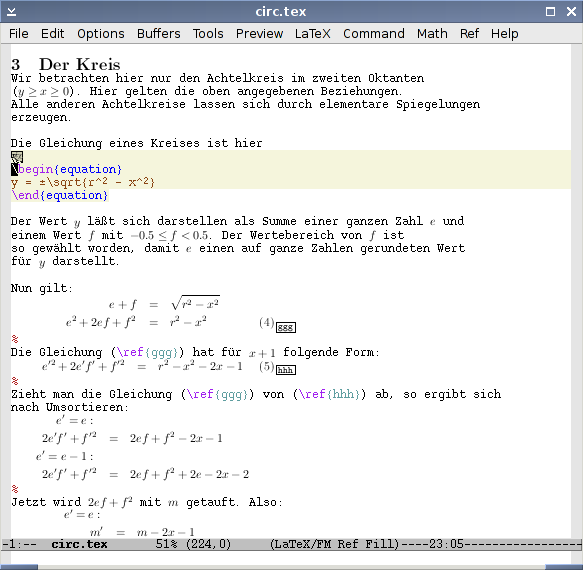 Showing a less puristic interface setup with LaTeX-specific tool bar and scroll bar.